In The Wake of a Dream is a gentle musical journey that unfolds in the most unhurried and uncomplicated way. Like waking up on a Sunday morning after a long sleep, with vague memories of the night’s dreams still drifting about in your mind. This is musical storytelling at its best – a tranquil journey that owes much of its grace to the breathy beauty of an alto concert flute. The inclusion of a free "Deep Sleep Loop" also makes this music very adaptable to your personal needs. If you need background music with a bit of colour and life, it can be that, but if you need the music to recede far into the background while your listeners are in a deep state of relaxation, it can do that too. For further information about this loop and how to use it to enhance spoken word recordings, please refer to the commentary and video below. 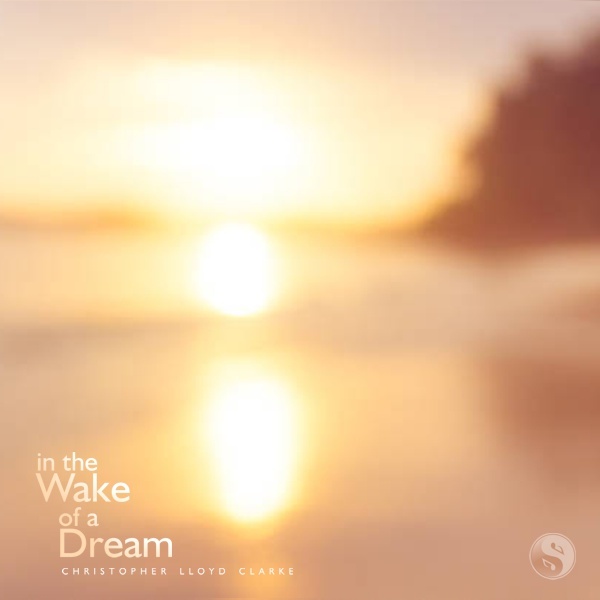 The "Deep Sleep Loop" is included for free with any purchase of "In the Wake of a Dream" (15 minute, 30 minute or 60 minute versions). For further information about this loop and how to use it to enhance spoken word recordings, please refer to the commentary and video below. (Please note that this loop is not available separately. It is included within the single file that you will download after purchasing one of the albums above). "In the Wake of a Dream" is a wonderfully versatile composition. You could happily use it in the background of a nature documentary, or while you are performing a massage at your day spa, and it is just at home in the background of a guided meditation recording. I was a little surprised by how well this music works in guided meditations. I am a genuine lover of the flute in all of its guises, but flute music is not always the best choice for guided meditations that need subtle background music that will support a deep state of relaxation. Any music that features a distinct solo instrument performance - like the flute for example – runs the risk of competing with your voice for attention. Fortunately this music blends beautifully with spoken words and is most suitable for guided meditations. This is partly due to the very soft tone of the flute I’ve used, and also because the flute performs in a very slow, uncomplicated manner – each short musical phrase finishing with a brief period of quiet. This provides space and time for you to intermingle your own vocal journey with the music. The end result is a melding of words and music that play together beautifully – musical storytelling and vocal storytelling working together in harmony. Beneath the sound of the flute is a steady hypnotic drone that creates a sensation of warmth, comfort and security that you can sink into. I have provided this drone sound by itself in a separate file called the “Deep Sleep Loop” which is included for free with this album. If you would like to use this music in the background of a spoken word recording then this this loop will be a valuable tool for you. The Deep Sleep Loop is free from any flutes or other instrumentation. Its purpose is to simply ‘hold the space’ and provide a subtle musical backdrop that helps to keep your listeners in the very deepest states of relaxation or sleep. 1. Fade into the Deep Sleep Loop in the middle, deepest section of your guided meditation journey. You can loop this section for as long as you like, and then return to the slightly more lively flute music in the return phase of your meditation journey. 2. Fade into the Deep Sleep Loop at the end of your meditation journey in order to ease your listeners into a state of sleep and leave them there. The video below shows you how to do this, and how it sounds. This is recommended viewing. Enjoy!